As details continue to emerge about the downing of a Russian bomber along the Turkey-Syria border on Tuesday, Turkish Prime Minister Ahmet Davutoglu has admitted to personally giving the order to fire on the aircraft, Canadian news outlet ThinkPol reported. 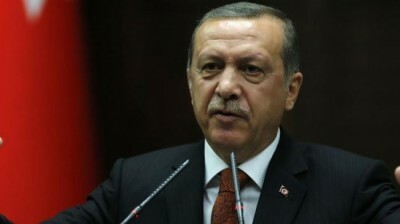 Hours after the incident which destroyed a Russian Su-24 bomber and left one pilot dead, Turkish President Recep Tayyip Erdogan went on the defensive, blaming an alleged incursion of Turkish airspace. Many of the Turkish claims have already been called into question, raising doubts that the incident was a mere in-the-moment misunderstanding. Adding to that doubt are comments made by Davutoglu on Wednesday, in which he took direct responsibility for the crash. Given the speed with which the incident occurred, it’s hard to know what to make of Davutoglu’s claim. According to the Turkish government’s own letter of explanation written to the United Nations Security Council, the military gave the Russian jet a series of warnings during a five-minute stretch, warning the pilots to move away from the border. While the Russian Ministry of Defense has provided video evidence proving that the bomber never entered Turkish airspace, Ankara’s claim alleges that the incursion occurred for only 17 seconds. It’s hard to imagine military personnel getting through to such a high-ranking government official, explaining the situation, and still having time to fire in a 17-second time frame. Davutoglu’s statements seem to back up comments made by Russian Foreign Minister Sergei Lavrov earlier on Wednesday, suggesting that the incident had been premeditated. In response, Turkey’s Western allies in NATO have urged for calm. While one of the pilots was killed by ground fire after ejecting from the aircraft, the other, Captain Konstantin Murahtin, was rescued. Murahtin also denied that his plane ever entered Turkish airspace, and also refuted claims that Turkey had given multiple warnings.